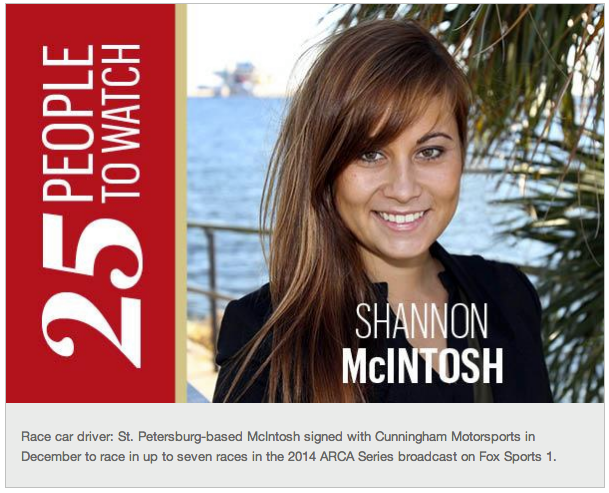 Jan 17, 2014 – Tampa Bay Business Journal has named Shannon McIntosh one of their selected 25 people to watch in 2014. This news comes shortly after McIntosh’s announcement to race in the ARCA Racing Series in ’14 with Cunningham Motorsports. Visit Tampa Bay Business Journal article by clicking HERE.